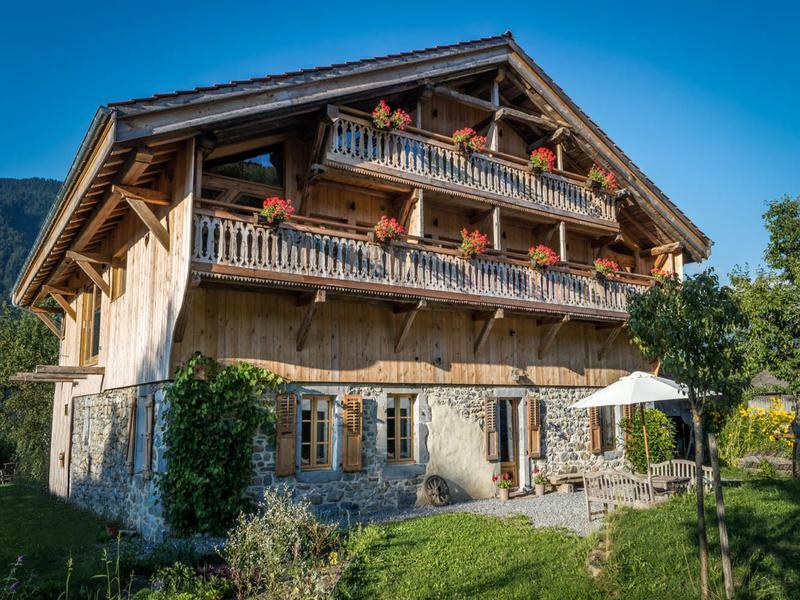 High standing renovated traditional Savoyard Farmhouse on sale in La Riviere Enverse, a small hamlet of Morillon ( Grand Massif ski Resort). 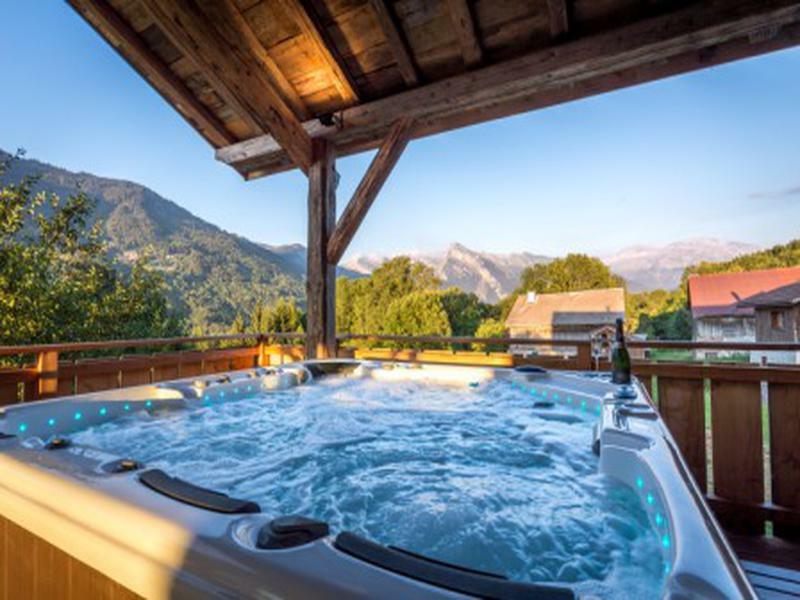 It is an ideal investment for a catered chalet business like a retreat in the French Alps. 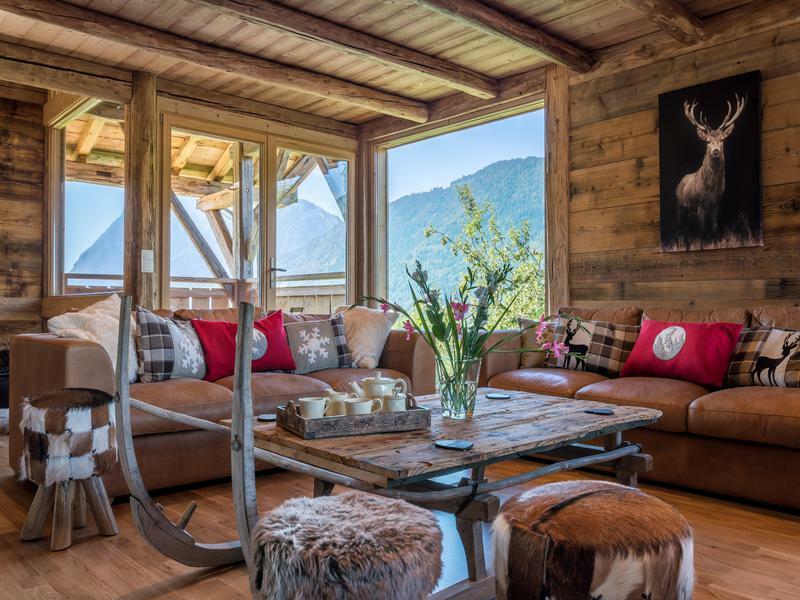 With its pituresque views on the mountains, the charm of the traditional savoyard style with a touch of modernity, this chalet is a little corner of paradise. 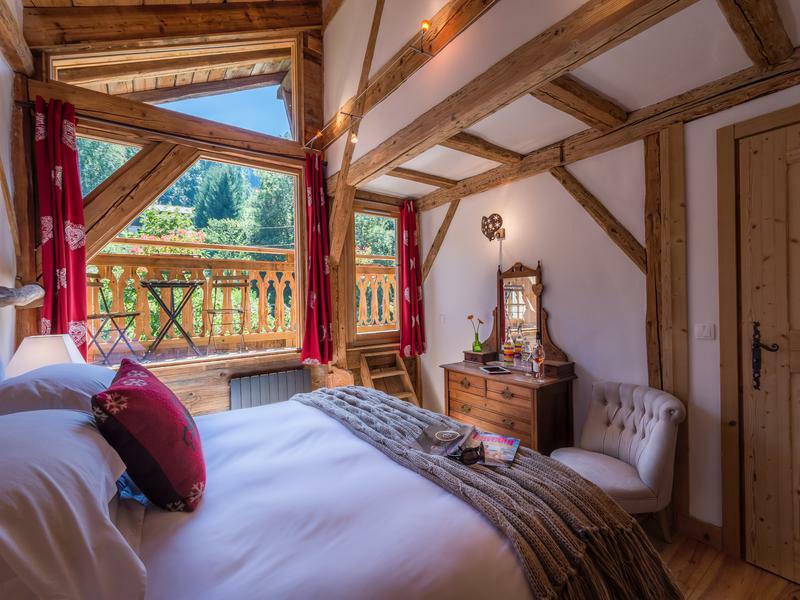 This traditional French Savoyard farmhouse has been built in 1746 and renovated by an architecte to keep its full of character and authenticity to create a dream luxury mountain chalet. 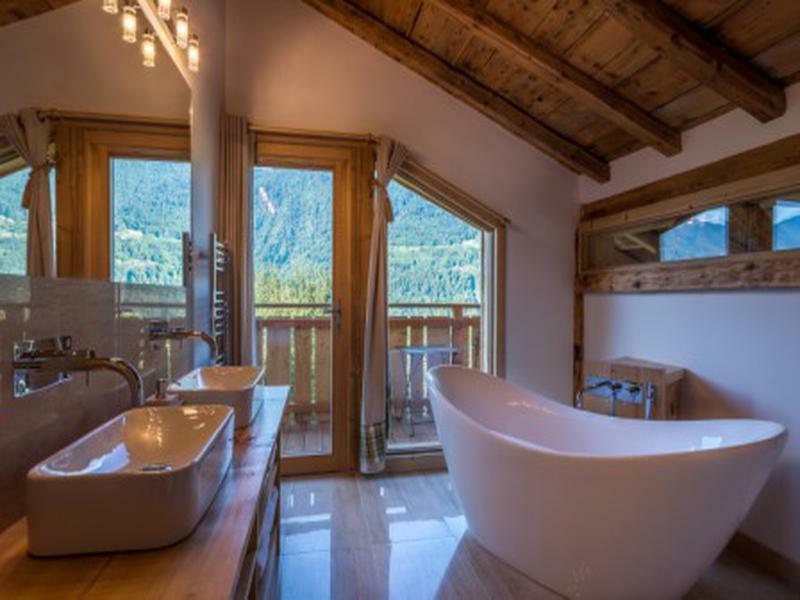 The chalet is divided in 2, with at the ground floor a separate spacious apartment of 2 bedrooms, and on the 1st floor you access to the rest of the chalet composed of 3 levels. It is a real asset to have this separate apartment below if you run it as a catered chalet or self catered so your staff or you can live in there. However it can also be linked to the chalet as the door access is existing. 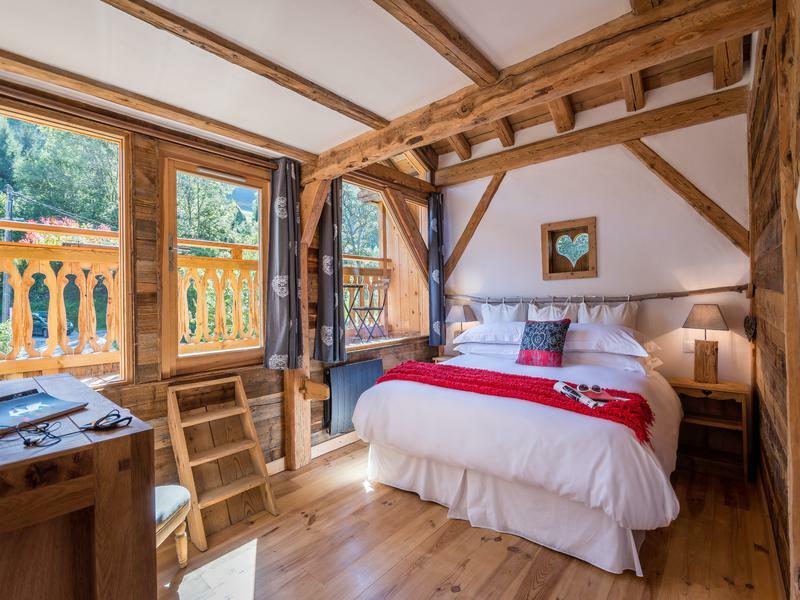 The Apartment : The entrance access is on the front facade of the chalet, and when you come in you will arrive in a warm and cosy living area with an open fully equipped kitchen. Then a corridor with storage area will lead you to the spacious luxurious bathroom, and then on the second left the 1st bedroom. On the right you will enter into the second bedroom ( or an office at the moment ) with a potential bathroom creation ( To be renovated as there is only the water access and pipes). The Chalet: Regarding the chalet, On the first floor is the entrance hall with lots of storage area, and a laundry room. Leading off from the boot room is the games room with table football and pool table and staircase with steps to take you up to the next floor. Off the games room is the cinema room. From the games room you climb the stairs to reach the 82m² open plan lounge, dining room and bar area that combines original timber beams, double height ceilings and huge picture windows to stunning effect. Off the lounge area is a large balcony with table and chairs for outside dining and a covered terrace for a hot tub space. The bedrooms are set out over two floors. At the living room floor is a double bedroom with ensuite bathroom plus a separate family suite with two bedrooms and a bathroom. Two further bedrooms with ensuite bathrooms and a family suite with two bedrooms and a bathroom are on the second floor. 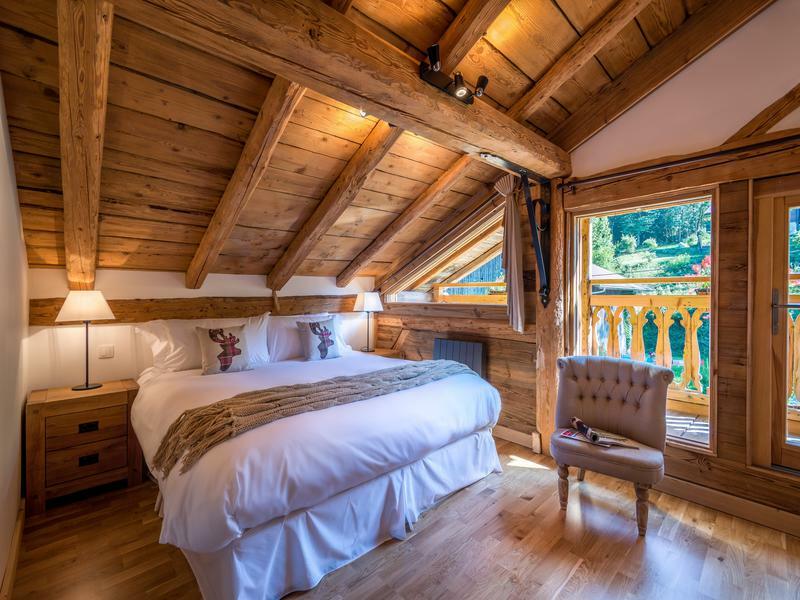 All bedrooms have beautiful beams, huge picture windows with stunning views and a private balcony. This Savoyard farmhouse is located in a small hamlet with its own garden 1660m2, orchard, decked areas and heated 8.7m x 4.6m swimming pool overlooking the valley and a beautiful view on the mountains. A bit of history about the chalet when it was a traditional farmhouse. Built in 1746 this farmhouse was home to a farmer, family and their livestock. The stone base would have been half accommodation for the family and half stables for cows and goats – essential to providing winter food in the form of milk and cheese. The heat from the animals would have kept the family warm along with the one central fireplace where all food was cooked. The wooden barn above the stone base was a huge space to store the hay needed to see the animals, and therefore the people, through the long and harsh winters. The unspoilt and picturesque village of Morillon nestles in the Giffre Valley, close to the beautiful, historic town of Samoëns, in the centre of the Grand Massif ski area. There is plenty to do all year round in this region with its stunning scenery, trails for biking, hiking and riding. The extensive Grand Massif where the high altitudes of the Flaine bowl provide guaranteed great conditions both early winter and spring.The skiable domain of the Grand massif is 265 km long served by 73 ski-lifts, high-tech equipments, a real skiing access to Flaine, Samoëns, Les Carroz and Sixt. 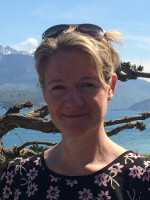 The village has several bars and restaurants plus ski hire available. The village is a short drive away or a 15 minute walk. The international airport at Geneva is just 45 minutes away by car with good local road links.